Nora’s husband is impatient and not very understanding. “I saw something, Paul, an apparition or I hallucinated or something.” She wants him to be different, concerned. Kind words, an embrace. Something. Paul has become distant. Even when he’s attentive, it seems he’s merely acting, not really sympathetic or genuine in his concern. Nora becomes convinced he’s having an affair. The problem is, Nora can’t remember any traumatic events. Ever. Could she have forgotten something so distressing it would cause her to see things? Thus does Nora begin a journey delving back into her childhood, to when she lived in Ireland with her grandparents, of a mother who loved her but then began to drink, of a father she adored, of her mother’s accidental death for which the child Nora blamed herself. By now, the ghostly child has a name: Margaret, but Nora’s memory is still spotty and in confusing images and nothing is clear. The discovery that Paul actually is having an affair, and the suicide of one of her students, a girl being abused by her father, add more current stress to that unknown one in Nora’s past. The support of John, the principal of her school, is the one bastion in Nora’s now bleak and confusing world. Eventually, she will remember the “Valentine dress,” discover Margaret’s identity, and what those words mean, and then and only when will she reach the end of a journey begun that day in her classroom. Written in the currently popular but annoying first person present point of view, The Night Child is a story of long-ago trauma causing a deep psychological split of a person’s consciousness. Nora is a sympathetic character, evoking both pity for her distress as well as the way she’s abandoned by her husband when she needs him most, and admiration in how she perseveres in her determination to discover the cause of her hallucinations. Though John’s support isn’t as developed as some readers might wish, he nevertheless becomes Nora’s one mainstay in her search for answers. 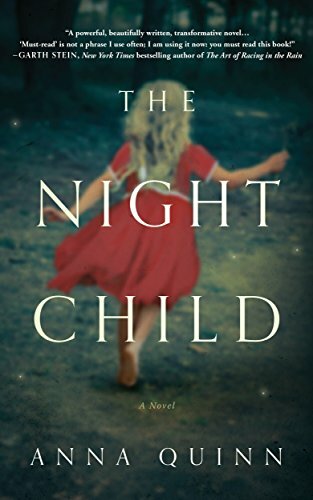 The Night Child is a novel that will leave the reader shaken with its ramifications of the way crimes against children, hidden by adults, and buried in a child’s psyche, can resurface decades later and cause even more harm.